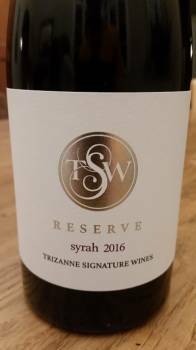 By working with Elim vineyards to make her Syrah Reserve, Trizanne Barnard of Trizanne Signature Wines says she is looking for a counterpoint to the warm-climate examples of the variety which predominate and the wine certainly is less powerful than many. In the case of the 2016, the wine shows a reductive top note before red and black fruit plus a little white pepper. The palate is medium bodied with fresh acidity and fine tannins. It’s a nicely understated drop, already quite accessible. Price: R210 a bottle.